Despite posting a decrease in production and revenue, IAMGOLD is confident that its upcoming projects will provide significant growth moving forward. 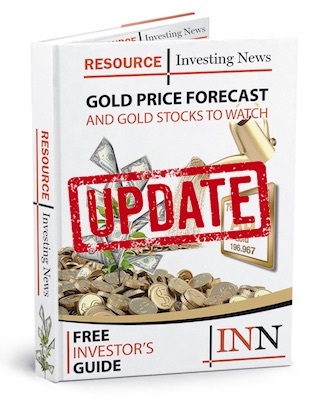 IAMGOLD’s (TSX:IMG,NYSE:IAG) operating performance and financials were down during the third quarter but the miner’s upcoming projects should spell growth moving forward, the company said on Tuesday (November 6). The company also noted that despite a decrease in gold production during Q3, it would maintain its 2018 guidance of 850,000 ounces to 900,000 ounces at an all-in sustaining cost of US$990 per ounce to US$1,070 per ounce. “As anticipated, the third quarter was weaker than the first half of the year with the gold margin under pressure and production at Rosebel on the lighter side,” stated Steve Letwin, president and CEO. “Our balance sheet remains strong, reserves continue to grow and our development projects are looking more robust than ever,” he added. IAMGOLD’s production slipped to 208,000 ounces during Q3, which is 9,000 ounces shy of gold output in the third quarter of 2017. The company explained that the slip in production was due to lower throughput and head grades at Rosebel (8,000 ounces) and Westwood (3,000 ounces). Additionally, Q3 saw lower head grades at the joint ventures (1,000 ounces), which were partially offset by higher head grades at Essakane (3,000 ounces). The miner’s gold sales were also down for the quarter with an output of 202,000 ounces, a decrease of 8,000 ounces from Q3 2017. IAMGOLD posted a net loss of US$9.5-million, down for the third quarter when compared to net earnings of US$30.8-million it produced this time last year. Adjusted net loss amounted to US$6.9-million down from the adjusted net earnings of US$33.7-million during the third quarter of 2017. Despite the lackluster quarter, the company is looking ahead to projects that are currently in the pipeline and have the ability to bring significant growth to the miner. These projects include an oxygen plant at the Essakane mine, which will improve recoveries, forthcoming investment and construction decisions at its Boto project and the Canada-based Côté projects, as well as a production start at Saramacca and a ramp-up to full production at Westwood. “At Essakane, we are evaluating an opportunity to add incremental ounces by optimizing mill performance. Shifting Heap Leach construction until closer to the end of Essakane’s life would free up capital for other high-value growth projects,” noted Letwin. “Recent feasibility study results for the Côté gold and Boto gold projects showed increased reserves and significant improvements in project economics compared to earlier studies,” he added. At the end of October, the company applied for a mining concession for its Boto project and expectations are that a decision will be made within the first half of 2019 with an investment decision to follow. Currently, IAMGOLD is in advanced discussions with a syndicate of lenders to increase its existing credit facility from US$250-million to US$500-million in order to provide additional flexibility to execute these growth plans. The facility is expected to close before the end of the year. As of 2:45 p.m. EST on Wednesday (November 7), IAMGOLD was down 7.77 percent, trading at C$4.39.